into plastic tumblers and heading upstairs to see the first production in London of Caryl Churchill’s hymn to the land, Fen, for 30 years. I’m here on behalf of Offwestend.com to meet artistic director Neil McPherson, the human dynamo who has powered the Finborough through an incredibly successful period. The theatre’s most recent play, Emlyn Williams’ Accolade, was a smash hit. Critics fell over themselves to lavish praise on this tale of celebrity double-life, not performed since the 1950s but as fresh today as then. The New York Times loved it so much it reviewed it twice. McPherson’s programming is always exciting, unpredictable and enriching. 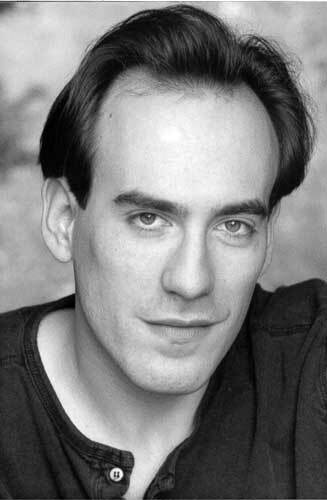 And his instinct for excellence in the off-West End arena has seen him discover directors, playwrights and actors who have gone on to become major players in the theatre world. It’s unsurprising, then, that he should have attracted a clutch of awards during his career, including perhaps the greatest accolade of all – Best Artistic Director at The Offies 2011. Once the bell has rung and he’s made certain that everyone’s safely in their seats for Fen, the witty and wonderfully irreverent McPherson joins me at the bar. Sipping a Coca Cola he tells me about his job, his views on independent theatre, his loathing of plays by accountants and trying very hard not to get Kate Winslet wet. TW: First off, congratulations on winning Best Artistic Director at The Offies a couple of weeks ago. You’ve won so many awards in the past couple of years, does winning another one mean much to you now? NM: Oh, yes, of course it does. We’re very grateful; we’ve done wonderfully. We were just a bit surprised because, yes, there were many good shows [here] last year but the ones before that were equally as good. So it’s a bit like buses, with everything coming at once! Of course, we’re waiting for the backlash now. Part of the thing here is that you work very hard and you’re not paid very much. I last had a proper holiday in 2001 and a weekend last year when I didn’t answer any emails. So things like this [award], they make you feel like you’re doing a good job – that it’s all worthwhile. TW: It’s interesting that you use “we” rather than “I”. NM: That’s the royal “we”! TW: Really? So how do things work at the Finborough? NM: Well, I’m the only paid member of staff. Everyone else is a volunteer. Our longest surviving volunteer is Alex Marker, our resident designer, who’s been here since 2001 and wins amazing plaudits for his work. And then there’s a large team of people who don’t stay that long, from three months to a couple of years. So when I say “we”, I mean me and all of those volunteers who make everything possible. One of things we’re proudest of is our assistant director programme. Of the directors who started with us, well, one is assistant director here, one is now assistant director at the Donmar Theatre, one is director of new plays at Theatre Clwyd in Wales, one is artistic director of their own theatre in Oxfordshire and another is staff director at the National Theatre. TW: So what does your specific job consist of? NM: Everything! Obviously, the biggest bit is choosing the plays; actually, probably bigger than that is then making sure that those plays are of a quality. We’re very anxious that we’re not looked on as ‘fringey’. We produce half of our own work and half with companies. The difficult bit is making sure that the quality of those visiting companies is up to the standard of everything else. So, we’re strict on casting, we’re strict on how your poster and your programme look and that you behave honourably and decently to everybody, even if you’re not paying them equity minimum. And on top of that [I’m responsible for] marketing, finance, refurbishing the building, and so on. I’m sometimes amused when I go to other theatres and they’ve got a list of 80 staff in the back of their programme and I’m doing a bit of all those [jobs]. But you know that’s sort of what makes it fun. You can develop a new script, get bored with that; do the accounts, get bored with that; clean the toilet, get bored with that; then paint something. TW: You say you want to avoid seeming to be ‘fringey’. What does that mean? NM: A lot of fringe is absolutely f**king terrible, isn’t it? If you want to make a lot of money you can easily do that on the fringe. I could charge six to seven thousand pounds a week to rent this space. I could be doing terrible plays by retired accountants. Or [putting on a show] by an actor who hasn’t trained, has done some evening classes, wants to do Hamlet and has the money to pay for it. All that kind of thing I loathe, and everyone else on the fringe loathes, because it drags us down. That’s not what we’re about. TW: So when did you get started in the business? NM: Well, I began as an actor. I did three years at drama school, acted for about a year, then decided that, actually, it was a silly job – for me at least – then ran the New End Theatre for nine months, produced for about a year then got the job here, where I’ve been for 12 years now. TW: Was there a specific point at which you realised you didn’t want to be an actor? NM: Yes, being dressed as a polar bear in front of 500 screaming children at the West Yorkshire Playhouse and thinking, “You know, actually, this is kind of daft.” [In my role now] I can do a lot more. And when somebody I’ve discovered, whether they’re a director or a writer like Laura Wade or James Graham, makes it big or an actor’s come here and gone on to win an Olivier, well, that’s nice. TW: What makes independent theatre more than a vanity exercise for bad actors or would-be playwrights? NM: People often ask me what the difference is between a vanity project and a sensible investment in the future. The only really honest answer is: “If it’s good.” So part of my job is weeding out the really terrible scripts from the good ones and going from there. TW: What would you say distinguishes off-West End theatre from West End venues and shows? TW: Do you think that you can take more risks, be more adventurous, than if you were bound by issues like minimum expenditure? NM: Yeah, but to be really honest, I just put on what I like and hope other people do as well – and so far they seem to! I think Stephen Daldry once said of the Gate Theatre, “The worst thing that could happen would be if we got funding.” Because then you end up limited, stuck doing a play with a cast of three [that] casting agents won’t come and see because they’re only seeing three people rather than ten at a time. [Here] our average cast size, over the year, is about nine. TW: Plays such as Accolade, which become critical and commercial successes, must be the reason why you do the job. TW: You’ve said that finance is always a challenge. But are there any other major obstacles when putting on a show? NM: No, actually it’s all about the money. It really is. You know, when people are campaigning against Arts Council cuts I’m with them, of course, but part of me is thinking, “Just give me one percent of what some other theatres get.” With that one percent we could do amazing things. The Emlyn Williams was a big success, five stars, but if I’d had more money I’d probably have done a season of Emlyn Williams plays. I probably could still have made that happen, but not at the level of quality I’d have wanted it to be at. TW: Does the Finborough have definable aims? Does it have a mission statement? NM: Our artistic policy is very, very strict: it [has to be] new writing and rediscoveries. But nearly everybody in the world says that their artistic policy is new writing and rediscoveries; so our artistic policy is new writing and obscure rediscoveries. We have a rule that [a play] must be from the nineteenth or twentieth century – we don’t do anything before 1800 – and it can’t have been performed in London in the past 25 years. So, that immediately wipes out A Doll’s House or The Birthday Party. Nothing wrong with those plays but you can see them anywhere. The idea is that you’ll come here and see something absolutely brand new, or you’ll see something so old it’s actually brand new again. I always argue that if there’s nobody alive on the planet to have seen it then it counts as new writing. One of my favourites was Our Miss Gibbs, a musical that hadn’t been done since 1908, full of jokes about the London Olympics and cash for honours. Audiences in 2007 were absolutely wetting themselves over the same gags as a hundred years ago. You know, I couldn’t do just new writing. I’d get very bored. And there isn’t enough good new writing out there yet. TW: But when you are seeking new writing where do you look? Do you accept unsolicited work? NM: We accept unsolicited scripts where possible, but one of the things we don’t like is rejects. A few fringe theatres go to the Bush Theatre or the Royal Court Theatre and say, “What don’t you want?” We’d rather discover our own writers and work with them for as long as it takes. James Graham is the best example. He sent us an unsolicited script, utterly unperformable at 300 pages long. We spent two years working with him on it, put it on, commissioned the next one and have done one of his plays every year since. TW: Is there a particular skill to identifying a good play? NM: There’s a spark. [It’ll often] be lost in a morass of awful structure and terrible dialogue, but you can spot who can do it; you can tell who has it. The x-factor, if you will. TW: In the 12 years you’ve been at the Finborough, what have been the best, worst and funniest moments? Dear God! Well, the worst was the Hamlet. There really was a Hamlet, for one week – it was that or bankruptcy – by an actor who was on [TV show] The Bill. Bless him. He couldn’t remember the lines. It was after that that I decided I’d rather go dark than take something for the money. We’ve had lots of great moments, often the small things. [For example] we did Soldiers, which has a debate in Act Two about the ethics of aerial bombing in the Second World War, in Dresden, in Hamburg. Well, we had people coming out of that screaming at each other about Iraq, sitting in the pub and banging their fists on the tables as they argued about it. Small things like that make it all worthwhile, when you know you’ve affected someone. Seeing the people I’ve developed going off and getting commissions, that’s wonderful too. TW: And have there been any funny or absurd moments? NM: Oh my God. Well, the staircase flooding – that was fun. That was quite a while ago. 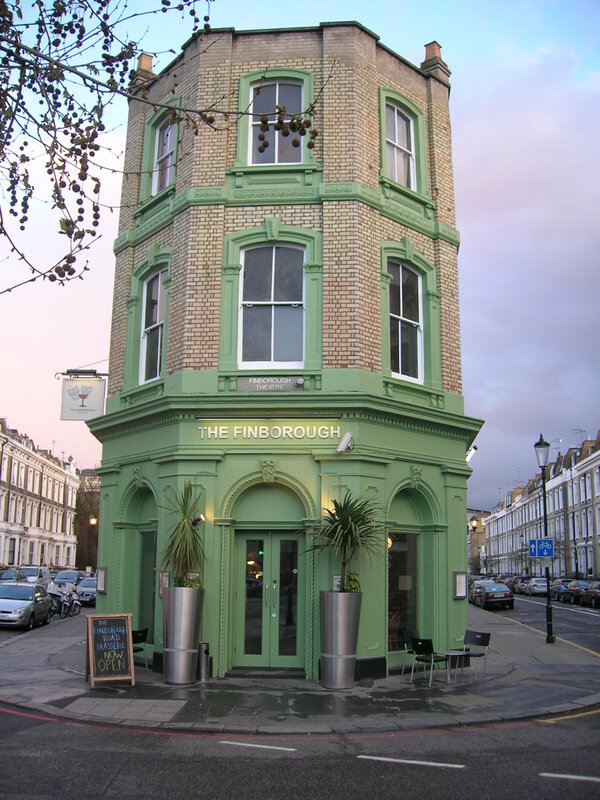 [The Finborough has] a flat roof that, when it rains, fills up like a swimming pool until the water breaks through the skylight. This happened when Kate Winslet was here to see a show. She had to walk up under an umbrella as four feet of water poured down. She said it was worse than Titanic. TW: What do you hope an audience will get out of coming to see a show at the Finborough? NM: Well, somebody once said, being snide but I took it as a compliment, “You do war, genocide, disease and the odd camp musical.” And I thought, “Yeah, actually that’s true, we do.” It sounds wanky but if you didn’t think you could change the world you wouldn’t do it, would you? What we very specifically don’t do is plays about 20 or 30-something relationship problems. If your girlfriend has left you we’re really sorry but take it somewhere else! Most of our stuff, apart from the camp musicals – and there’s nowt wrong with them now and again – is hard-hitting or political. It’ll make you go away and think. The BNP play we did last year, we were having death threats. I always say that if you don’t have a firebomb threat every couple of months you’re doing it wrong. TW: That would certainly add a spring to my step. So, what do theatregoers who step through these doors and don’t get completely waylaid by the bar have to look forward to next? NM: We’ve just started the [three-month] season, ‘In Their Place’, of works by women playwrights. We’ve got Fen by Caryl Churchill, new off-Broadway musical Bed and Sofa, with music by Polly Penn, and Naomi Wallace’s new one [And I and Silence]. The Sunday and Monday slots are all devoted to Colleen Murphy, a Canadian writer who’s never been seen in the UK. We think it’s about time she was, so the idea is to put her work on the map. Other than that, in July we’ll have Vibrant, our new writing festival. That’ll be a four-week run of a brand new play and a series of stage readings by our playwrights and residents from the literary department’s writers’ group, as well as a few other writers we’ve worked with a lot who we want to show off.